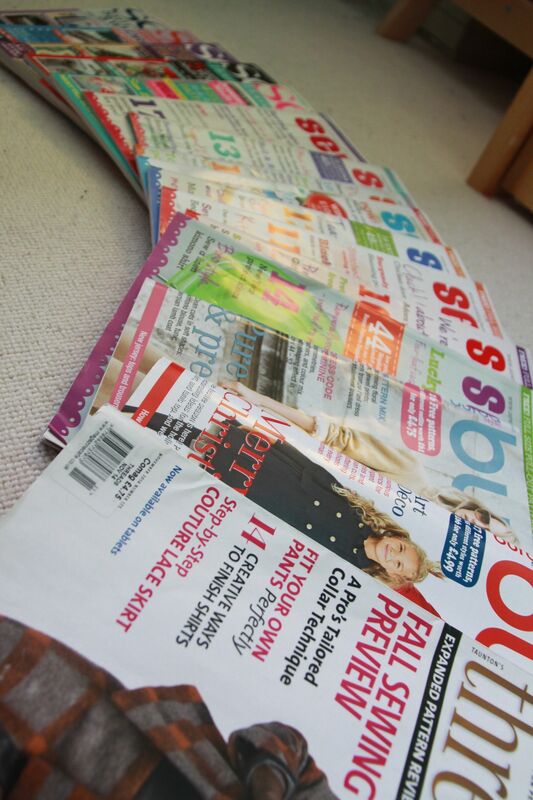 I’m in the US and it seems like they’re are so many specialty sewing mags, which I love. I did have Sew on my kindle at one point but it was too craft based for me. I have subscriptions to Threads and Vogue Patterns Magazine. I love them both and always read cover to cover. 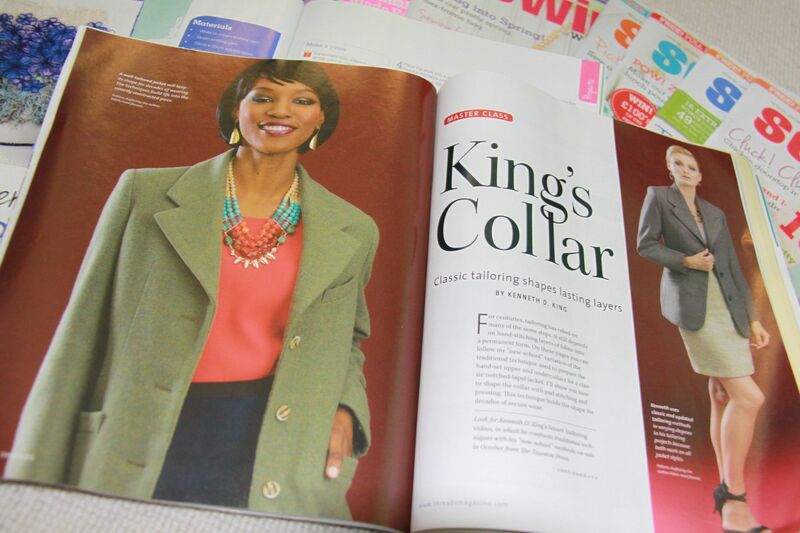 My other favs are Belle Armoire (artistic clothing) and Where Women Create Business mags both by Stamptington. Those ones are much pricier($15US) so they’re my occasional splurge. That’s interesting to hear! Almost all the ones we can get over here seem to be pretty craft based, and it’s a shame! I haven’t heard of those other two – I’ll have to check them out if I ever make it to the US! I’ve found the same thing, and I’d rather spend the money on a book (which will take me a couple of hours to read) or a sewing pattern/ fabric. I definitely see where you’re coming from about the lack of dressmaking magazines in the UK. I’m going to have to try and track down a copy of threads! It’s such a shame, as sometimes a magazine is nice just to curl up and flick through! 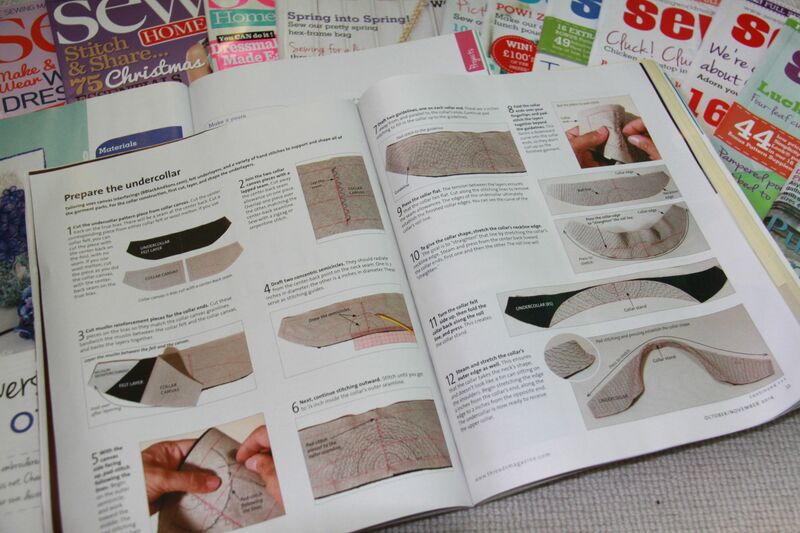 I never really sit down and read my sewing books – I tend to use them more as reference, but maybe I should try that! You can generally find Threads in the bigger branches of WH Smith, sometimes they will order it in for you if they don’t stock it. I’ve also managed to get it at airports and train stations, which is handy for long journeys! 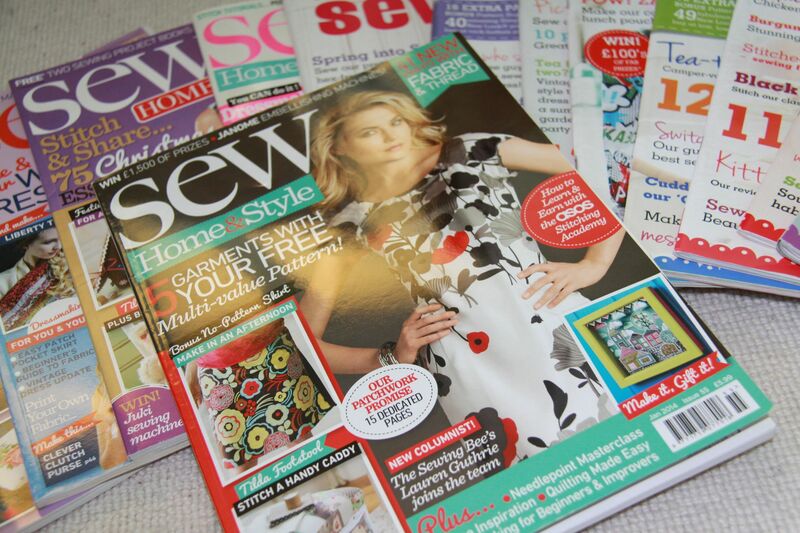 You’ve really hit the nail on the head for me – sewing magazines in the UK are too general, or are dominated by adverts rather than any interesting articles and so I’ve only got a couple that I bought when I first started sewing. I’ve been tempted to get myself a subscription to Threads in the past, but I’ve wondered whether it would offer anything more than what I get from sewing blogs. 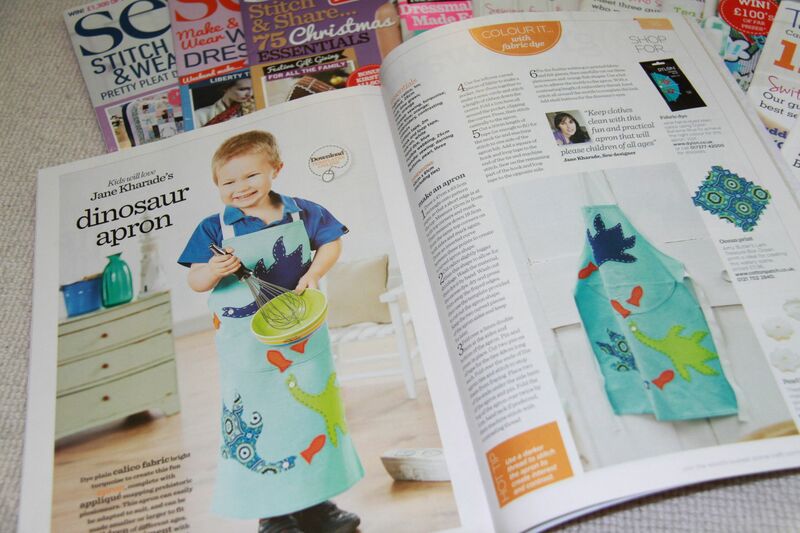 It’ll be interesting to see what happens with Simply Sewing – if it gets good reviews, I might treat myself to an issue! I do like Threads – you could probably get the info from blogs, but as Nicole said below, if you don’t know what you’re looking for, magazines can be a good way of being inspired. By the sounds of it, Simply Sewing is going to be much of the same, which is a shame! Yes, I agree completely about magazines showing you something that you might not have even known you were looking for! And although blogs may sort of do the same, unless it’s something you know you’re interested in, it’s easy to skip past that post, as there are so many to read, but if it’s in the magazine in your hand, you’re more likely to take a look I think! I agree about the craft sewing in general, hopefully now that sewing (clothes) has really taken off, businesses will start to catch up and we’ll find more dressmaking focussed places! I have never even seen a burdastyle mag. I have enjoyed the odd copy of sew and homemaker. But I agree just a bit to home dec and quilting for me to read them often. I’ve always enjoyed a magazine curled up on the sofa. But sewing mags are elusive to me. I have found Burdastyle is large WHS shops before, but not every branch. It can be a little hard to come by! 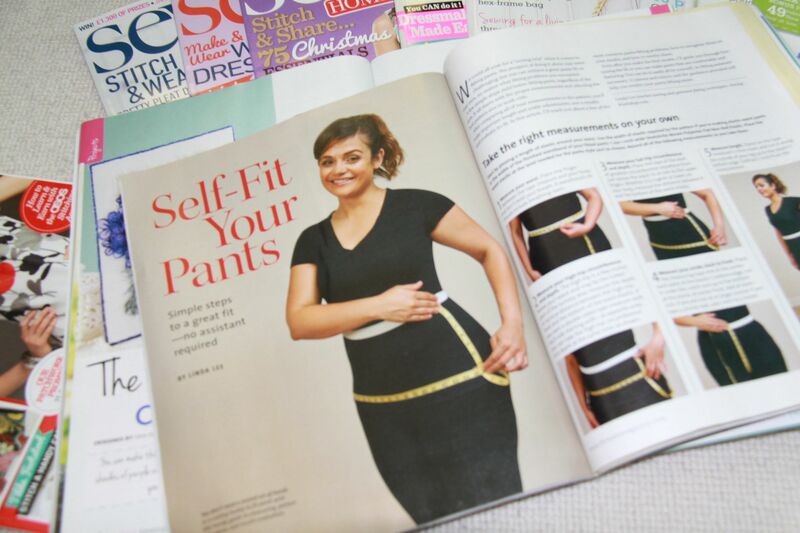 I agree with you – there does seem to be a bit of a gap in the market for a dressmaking magazine in the UK market, but at the same time I increasingly think that reading blogs is replacing the need for magazines for me. I’m coming to the end of a Love Sewing subscription at the moment – I don’t want to disappoint you about your prize but I won’t be renewing the subscription. They’ve had some free patterns that have the potential to be nice, but the samples shown in the magazine always seem to have odd fitting issues that put me off making them! Haha, I promise not to be disappointed! I figured it was actually quite a nice prize, because I wouldn’t have bought it myself, for all the reasons above, but I’ll probably quite enjoy reading some of them. Yeah, I’ve seen some of their patterns in the shop, I wonder how they turn out…we’ll see! I always buy La Maison Victor since the first number, they have nice pattern. Sometimes I bought BurdaStyle, but I am not so much a fan of they pattern, too much alteration to be done to fit my body. And they’re explanation…. well I find them confusing. For the price, 7€, I prefer buying myself an indie pattern. And when I have the chance to find a copy of a foreigner magazine, I read Mollie Makes (french version is awfull and I think has been stopped) and Threads. I’ve yet to try a Burdastyle pattern…having to trace the overlapping patterns and add seam allowances always puts me off! I agree with the price – I’d rather buy something that I know I am going to like and use! I got a 3 month trial of Love Sewing for £6, and I have to say that though they’re fun to look through, it’s all rather basic – I think they’re really focussing on content for beginners, which is great, but I don’t feel like I’m in the target audience anymore! I don’t need to have a Q&A page which explains pre-washing or grainlines, though I can imagine it would be really useful if you’re just starting out. I did pick up a copy of Threads a few weeks ago, and was so pleased with the content- details of how to pattern match plaids, and getting a couture finish on your handmade clothes… that’s what I want to read! I guess it’s the same argument that’s been doing the blog rounds recently, that there’s an awful lot of patterns and books available for beginner sewists and not as much for a more advanced level. Yes, good point Hannah! I hadn’t really thought of it in terms of skill level, but you’re completely right -I guess they feel like they have a bigger potential audience if they’re aimed at beginners’ rather than more advanced sewists. Maybe as time goes on (and the beginner sewists become more advanced), publishers will decide there is enough of a market for them to produced a more advanced sewing magazine! Fingers crossed! Hi Kelly, Threads definitely gets my vote. The magazine is great on its own, but they also have a really good website. Having a subscription gives you access to all sorts of archive material and tutorials too.